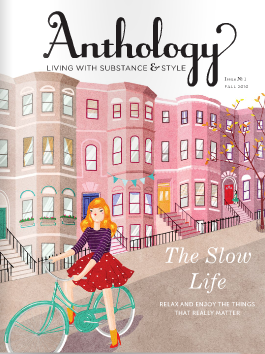 I just heard about this new magazine, Anthology. 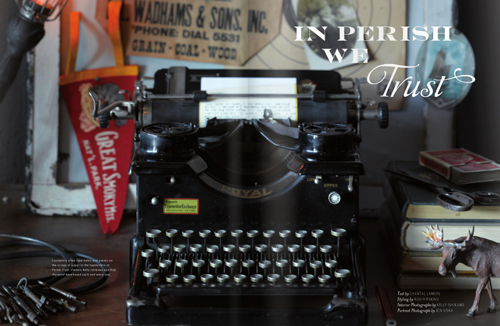 They describe Anthology as "A new quarterly shelter and lifestyle print magazine that takes a narrative approach to its coverage of home décor, travel, design, entertaining, and culture." I loved some of the photos I saw, so I ordered the first issue to get a better look. 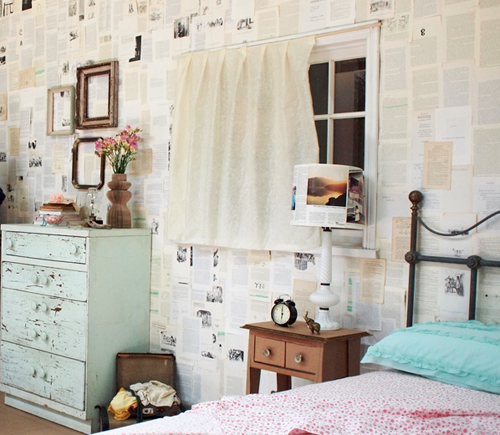 Their blog is worth a look, they had this post about using book pages as wallpaper. I'm getting rid of our kitchen wallpaper this year, I swear. Not sure about using book pages, but I like how it looks! stop feeding my addictions! ;-) looks cool, checking blog. 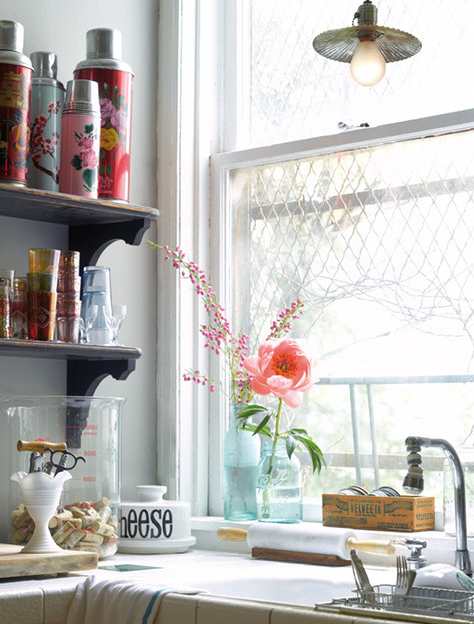 Wow, I could totally see your kitchen looking just like the one in the photo. Cool mag!